Sometimes, I try so hard to figure out why people are doing something in a certain manner.…perhaps even struggling so hard to figure it out, that it might be bringing them, or me, more unhappiness. then I can figure out how to “fix” things for them. 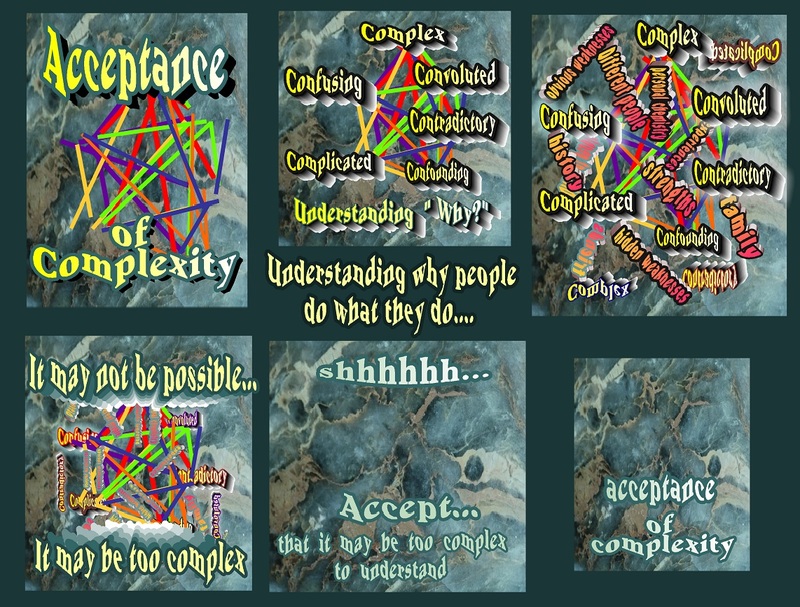 What I’ve learned, however, is that the “why” of what people are doing is often so vastly complex that there’s no way to understand “why?”…and that it would be more helpful to them, and myself, to simply accept that somethings can’t be understood…that there are just too many factors. This page ties in with several other pages in the “Pull Weeds” tab…in fact, it probably ties in with all the pages in that tab. and also accepting “not understanding” in the moment.